See how we make life easier and safer for you and your LTC patients. We can eliminate medication mix-ups. Our medications come in organized calendar cards that are clearly labeled by date and time of day. 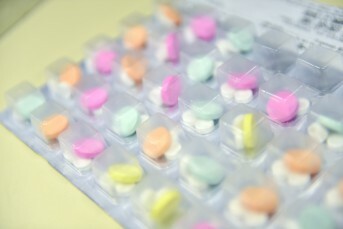 Our clearly organized and labeled doses make it a snap to verify that your patients are up to date on their medication. We synchronize your patients’ medications so that all are due for refill on the same date each month. You will receive one monthly order for all of your residents’ scheduled medications. Frequent medication changes are simple. You will be able to easily replace cards whenever there are medication changes Worry free travel doses. You have the flexibility to tear off individually labeled doses for patients to take on trips or home visits. Separate weekend cards are available on request for patients who make home visits. Save staffing time with all medications for each time period together in one bubble. Traditional pre-printed paper MARs (medical administration records) are available monthly, along with physician order forms, FREE of charge. QuickMAR, a user-friendly electronic MAR and chart option, is available for FREE. We’re proud to offer and recommend QuickMAR as your best option for recordkeeping. Watch informative videos about QuickMAR here. Barcode Scanning warns you if you forget a med or grab the wrong medication package. Photo IDs make sure you have the correct patient. System Alerts send reminders if you forget to give a medication. Complete your busiest med passes 25-50% faster by reducing paperwork to a few quick clicks. Allow us to send order changes automatically, needing only your approval. Monitor and control everything from your home or office. Bremo LTC Pharmacy offers affordable medication administration training for facility staff on a monthly basis. We offer extensive discounts for facilities using Bremo LTC Pharmacy for their clients’ prescription needs. Seminars and in-service programs are also available upon request to the facilities we serve. Each time a resident gets a new prescription, or returns from a hospital visit, our pharmacists review all current medications to ensure that your patients are getting the medication therapy they need, with the fewest side effects. We follow up with the prescriber if there is anything that needs clarification; we communicate any therapy concerns and recommendations to the prescriber based upon our review and information gathered during the visit. Our clinical pharmacists are available to visit your facility and perform on-site medication reviews. 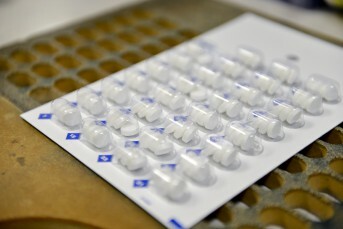 We can also perform quality assessments of your medication management and make recommendations for improving medication administration techniques. Let us help your residents choose a Medicare plan by reviewing their medication list and finding a plan that will cover them with the lowest out of pocket expense. We’d love to work with you and your clients! Sign up to partner with us. It’s quick and easy! Sometimes medications are only used temporarily, such as a cream for a rash. If you have orders printing on your MAR that your resident doesn’t need anymore, let us know about it with the MAR clean up form.